I just hope this whole "download" situation doesn't affect the sales of the game. I'd hate for this game to flop because of something so minor. Not sure if it was posted before, so sorry if it has. In fact I’m not even sure the link will work, I’m literally just posting links judging by the name and thumbnail of the video. Apparently, the game is 91gb in total. Not a problem for me! Interview with Stephan Vankov about the music in Reignited. I don't think the download Debbie Downers are gonna put much of a dent in sales. It's a really small handful of people, they're just very vocal. The interview was a cool read. I appreciate that he specifically addressed adjusting the bass in Dark Hollow to be more audible and making it so the second half of Toasty's theme doesn't just kick in at Toasty, which were two of my bigger concerns upon first hearing those tracks. It really goes to show how much TfB is listening to our feedback! I'm also incredibly excited about the "alt themes" he mentioned in there. I don't think anyone has brought it up explicitly thus far, but I remember when Sunny Villa gameplay first dropped and people were in the skate park for a while, I noticed that the music changed a good bit after a few minutes. Thought I was going crazy but apparently not! That begs the question, though, are they gonna keep the extra themes from Spyro 1 that play if you're in a level for a long time? Maybe those will be made into alt themes? The 91 GB claim is slight misinformation. The actual total size of the base game is 42 GB or so according to the Xbox One preload. A PS4 game disc can hold about 55 GB of data. The PS4 patch is about 39 GB. So if the base game is 42 GB, it means the entire disc isn't used up. It's 42 GB on disc and 39 GB of an update, leading to a total of 81 GB. Which is still not entirely true. Patches often are bigger than the actual data that gets installed to your game because they often have to overwrite data in the original game. While much of this game's day 1 patch will be new data because of it adding the extra levels from Spyro 2 and 3, it''s likely a bunch of existing data has to be overwritten with slight changes so as not to break anything. Once installation is finished though, your PS4 will get rid of that excess data. A good example is Super Smash Bros. for 3DS. Every update for that game got bigger in size, but it wasn't because of them having more content, it was because they included everything from prior patches and had to overwrite that data for whatever reason. I'd say the actual total size is somewhere around 65 GB to 70 GB. Which is a bit more than I'd expect for a €39.99, but who knows why they needed that much space. We'll have to wait and see when the game gets datamined. I’ve read the interview and oh my God I didn’t know I could have gotten more hyped than I already am just by hearing informations about the music, yet here we are. 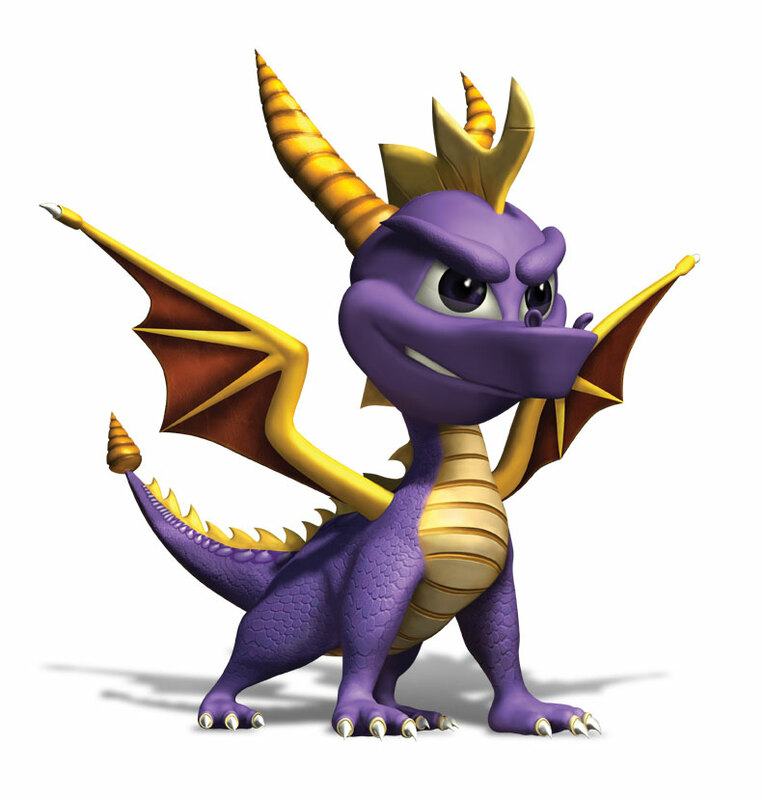 It almost made me want to hear the dynamic tracks first, but I think I’ll still stick to the static Reignited soundtrack for the first playthrough as Spyro music “always sounded like it had something to say”, as Stephan perfectly expressed it. First thing I’ll probably do with the game will be listen to the entirety of Tiger Train, by the way. I’m so happy Copeland’s music was handled by someone so competent and passionate that he not only tried to understand the soul of each theme and what could or should’t have changed, also listening to fans’ feedback and adjusting accordingly where he thought it could have helped, but even went as far as re-recording iconic samples such as the “monster” from Magma Cone. I bet those touches will truly make the difference. The only remaining thing I’d want to know about the music is if there will also be an option to select the version of the game from which it comes from: nothing to lose with a Greatest Hits’ soundtrack of Year of the Dragon (if anything I hope they managed to find a unique track for Enchanted Towers as well), but it would be a pity to lose Hight Cave’s great theme from the PAL version in favor of a slowed down Tree Tops’ track, for example. He did talked about liking to give as many reasonable options as possible, so I strongly hope so, or that the whole soundtrack will change according to the language selected. In other news, Spyro’s latest tweet suggests we might see Peace Keepers fairly soon. I do hope there's some way of using the PAL tracks for levels (or the game at least allows for you to play your music library over the game if not. ). Dino Mines just doesn't sound right with the Greatest Hits track for me, original Greatest Hits or Reignited. I need to put Molten Crater's music back over it. The person who posted that the update is 36GB posted this image, letting us know that the size of the game overall is 67.5GB. I'm going to assume that part of the day one update is included in the digital download. I think Peace Keepers would be more likely, since I rember it being mentioned as one of the leves being showcased when they first talked about the drone along with Spooky Swamp and Frozen Altars, which did end up being shown. But yeah, Dino Mines would fit much better. What was the excuse to show Icy Peak, by the way? Agree, as much as I’m fine with Crystal Islands, Haunted Tombs, Lost Fleet and Dino Mines having their unique themes I’d really like if you could still play the levels with the reused tracks for nostalgia sake. Nope! Turns out you were right, Drek! Peacekeepers! The music in Peace Keepers sounds SO good! From what we've heard so far IMO they're killing it with these homeworld themes. I'm still confused about something. If they got Gregg Berger back to voice Ripto again, how come he isn't voicing Hunter? Maybe he sounds too old now. I don't mind Robbie Daymond is great. I love his voice acting in Tales of Zestiria as Sorey and Persona 5 as Akechi. Hope they managed to improve it, even though it already looked amazing from the short previews we had. Easily one of the most memorable themes in the entire trilogy and a favorite of mine, the short bit we heard sounded good even if it was probably the dynamic version. I don’t think they shown off Dr. Shemp’s booty either, judging by the reactions, they really want them to be a surprise. I kinda love how this game doesn’t only look big but it actually is huge. You know, earlier this week I predicted that by today YouTube would be full of leaks. I just took a gander over at the site, and well you can already guess. Watch out for Twitch as well, some people in Australia got their Amazon preorders today. Someone on Twitch has been streaming the entirety of Spyro 1 for a few hours now, and the intro cutscenes keep floating around. Be careful. I hope they haven’t been rushing it just for the sake of showing off as much of the game as possible, would be a pretty bad first experience in my opinion. With all these people getting the game early I’m kinda hoping the same for my copy, especially since today Amazon confirmed it was getting shipped soon. Wishing you guys to get it as soon as possible as well, of course, we kinda deserve it after all these exciting but stressful months. Nope, he trial and error'd his way though the game pretty thorough, just not bothering with skill points or achievements. The guy just got hit with a Twitch suspension, though. Well, even if he wasn’t under any embargo or didn’t specifically break any rule, I think it is (or should be) a general consensus that you don’t post videos or at least stream content which hasn’t been officially released yet: people shouldn’t be forced to avoid social media just because some lucky youtubers managed to get the game beforehand and started posting spoilery thumbnails all over the Internet. Not an excuse to outright suspend or take down said accounts or videos, of course, but it would be nice if the common sense prevented them to do so in the first place. As for how Activision handled the announcement and release, I have the feeling a lot of what passed off as “leaks” was actually planned and absolutely not accidental, even though there have been awkward situations (such as the N. Sane Trilogy streaming which apparently was supposed to include a preview of Reignited, which was ultimately scrapped because of how the game glitched out). Hard to tell with these modern days marketing strategies. I've got the game today guys!! They posted wallpapers of a bunch of levels from 2 & 3. I didn't look but apparently there are levels like Lost Fleet and Charmed Ridge... definitely a hard pass for me. Aaaah, so lucky! I hope you enjoy the game! People have gotten games early since the late 1970's, I don't understand why it's shocking to people. Hope you’ll enjoy it as much as possible! The size of my update is "only" 19GB and not 36 GB. This is amazing! Enjoy the game! Thank you! I couldn't stop myself and watched the intro of Spyro 1 ... but I want to play it first when the download is finished. Enjoy the game. I'll be getting it early on Monday night from GameStop. Excuse me if I won’t provide any link since I’m too afraid to come across some spoiler, but Spyro’s official Twitter account released a video called “Gnasty Gnorc”, though I’ve no idea if it’s about the character or the level. Anyway XSparx, since you are playing an “european” version of the game, could you please confirm if the language selected also changes the game to make it match the PAL release? I doubt it would change models or items, such as the red on the Town Square’s bulls’ horns or the gems in Metalhead, but perhaps it could modify the music accordingly. High Caves will probably be the best way to prove it. Happy to hear the Balloonists got voice actors, anyway, always felt a bit weird that they didn’t make any sound at all. Mod Edit: Please post in the spoiler thread! Who's your favorite elder-design so far? Mod Edit: Please use the spoiler thread. Please post in the spoiler topic. Eh lol okay ... I could've sworn the other one was the non-spoiler topic though. It was, but I suggested that JCW change it. Please use the spoiler thread if you wish to discuss things that haven't been officially revealed. Sorry, didn’t realize the answer to my question could have been considered a spoiler! Thanks anyway, XSparx, managed to read it before it was deleted or moved. 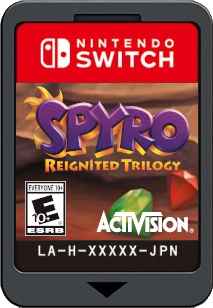 This a bit out of the ordinary but I made a Mockup Nintendo Switch Game card. Any thoughts or opinions on it? Can't wait to see the real damn thing. I don't like the framrate drops. I hope they'll patch it. Do you have a regular PS4 or Pro? xDDD I'm not sure if its really the problem. Lots of other Germans all across the country have the game too. One of my friends got it today from Gamestop together with the pre-order bonus. Will all 3 games be on the disc? I know they delayed it, I hope that was the reason why.